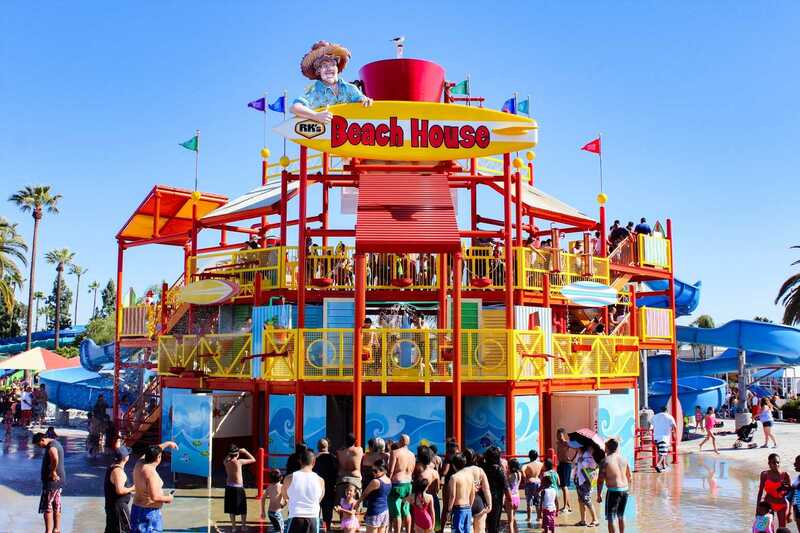 My favorite part of Knott’s Soak City is the laid back atmosphere. 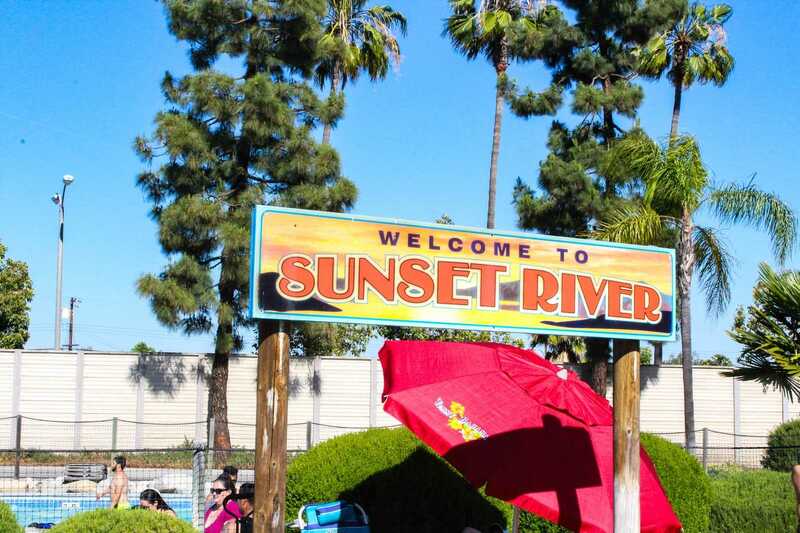 I really enjoy spending time with my family and floating down their classic lazy river called Sunset River. 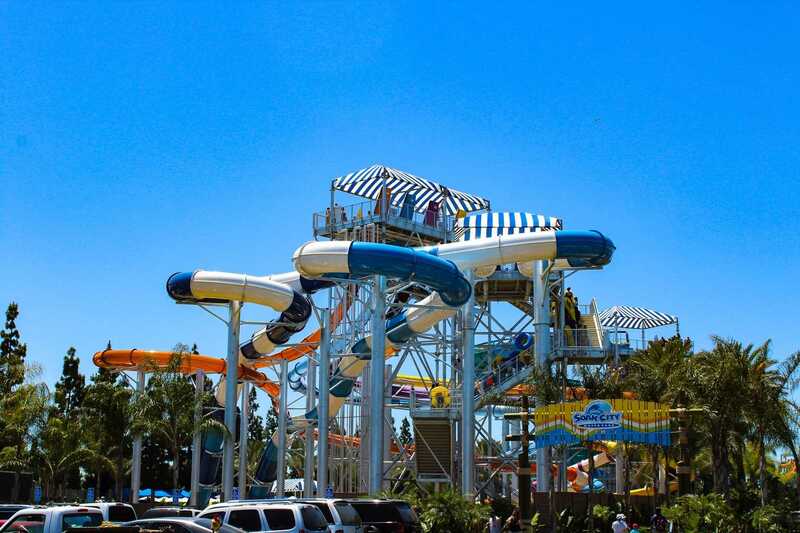 At one-third mile in length, Knott’s giant figure-eight waterway is the widest and one of the longest water park lazy rivers in the world. It takes approximately 20 minutes to go around the entire river on a complimentary intertube. 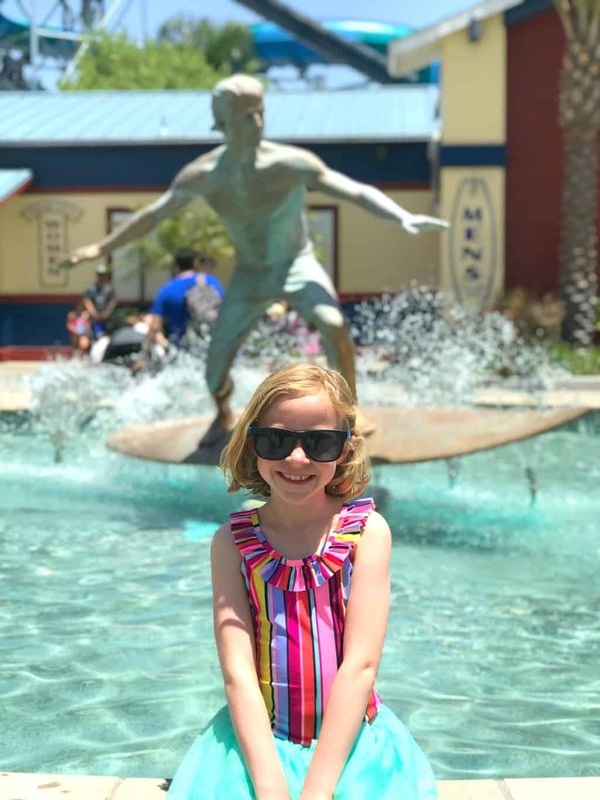 Whenever we go with friends to Knott’s Soak City, Field Trip Girl likes to explore the Beach House with them, a hands-on water fun area that includes interactive water guns, nozzles, faucets and other surprises. But beware! 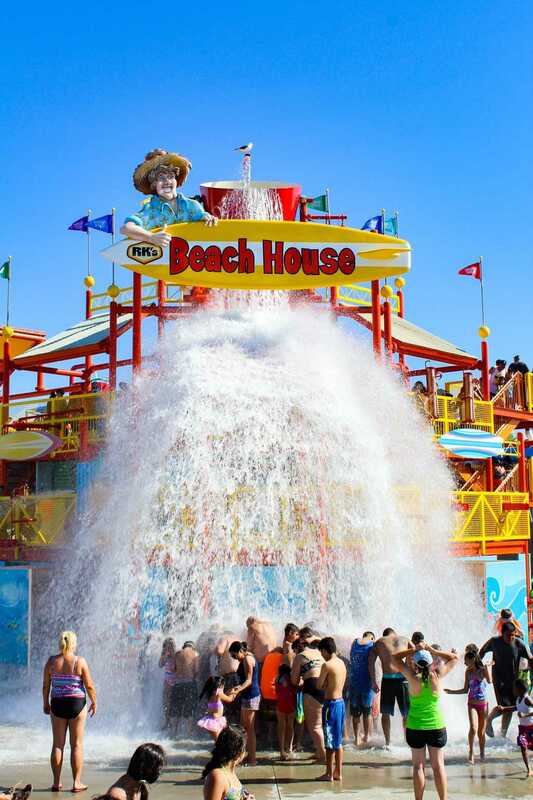 Every 5 minutes the water bucket unloads 500 gallons of water on anyone below! 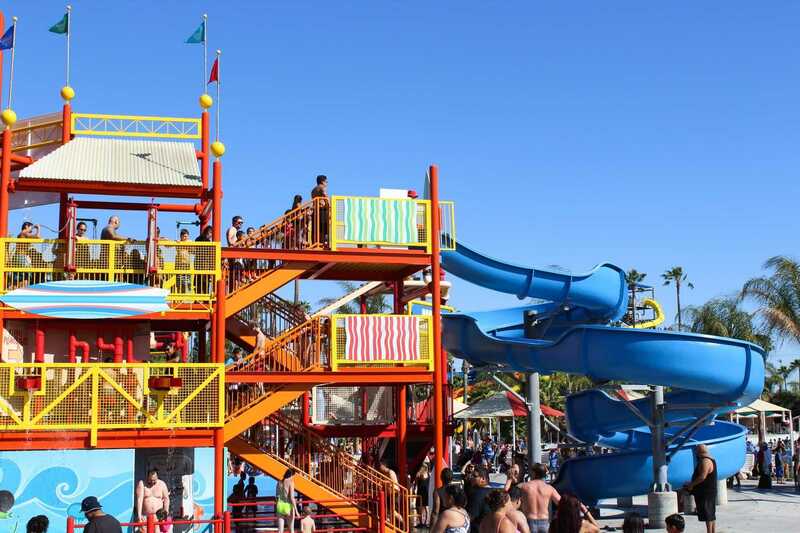 Knott’s Soak City offers plenty of private cabanas and shaded areas for their guests. First, you have make it a day in the shade with your very own semi-private cabana. 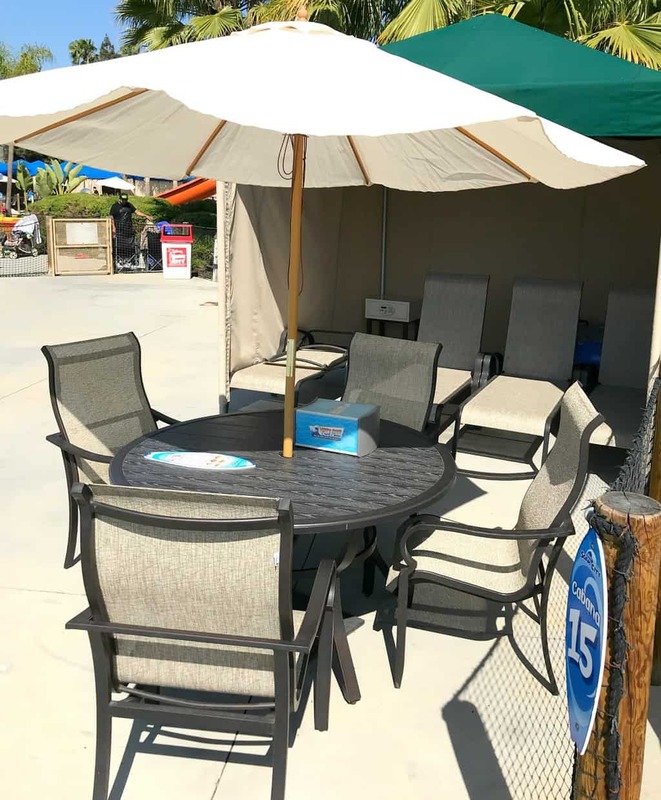 Each cabana reservation comes with up to 8 non-transferrable wristbands and includes extra amenities like a table with umbrella, 4 inner tube rentals, and waiter service. 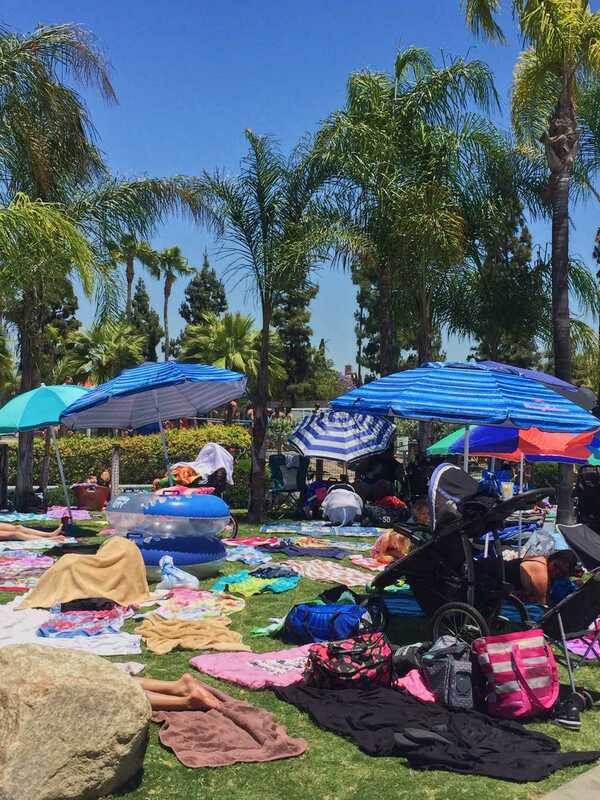 Second, if you want a good spot in the public area, you need to arrive as soon as the park opens, and bring your own umbrella to put in the grass. This way you can come and go all day from your semi-reserved spot. 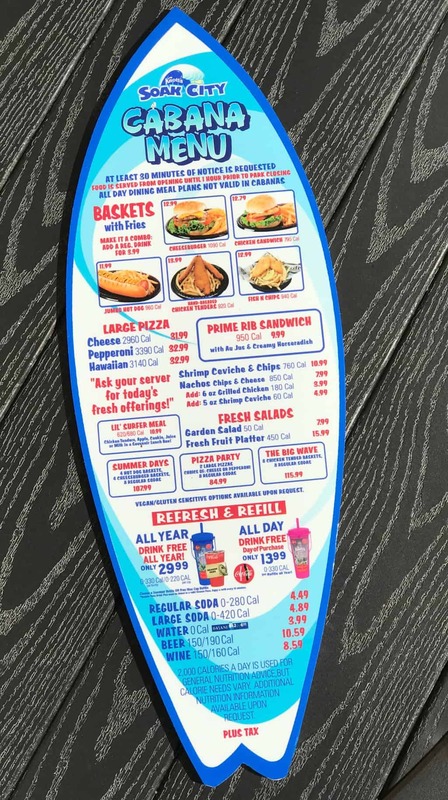 For lunch, my family and I ordered from the Cabana Menu. I especially enjoyed the moist chicken sandwich served with a tasty basket of fries and side of ranch dressing. 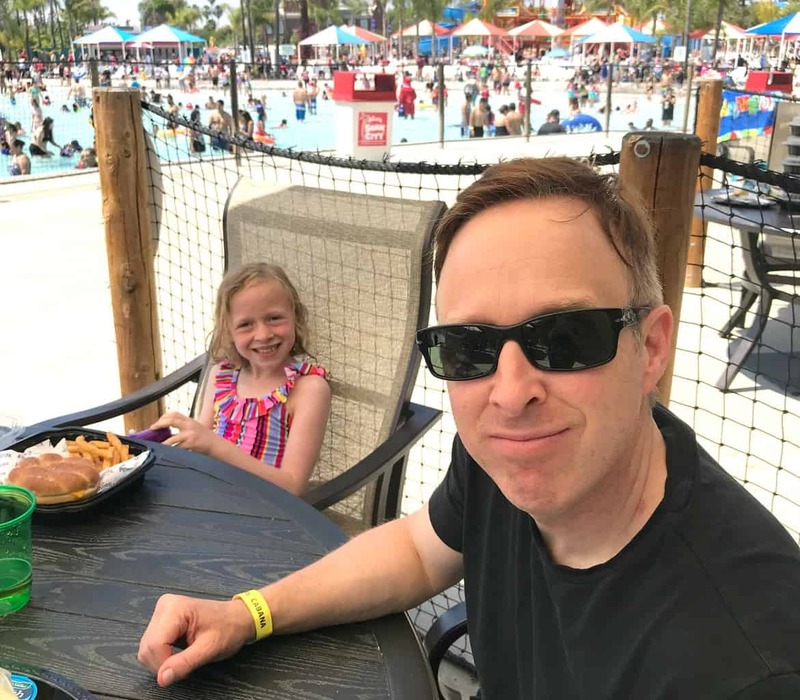 Another place to eat at Knott’s Soak City is at Longboard’s Grill. Here, they offer an extensive menu of breaded chicken tenders, fish & chips, and a variety of wraps and fresh salads. 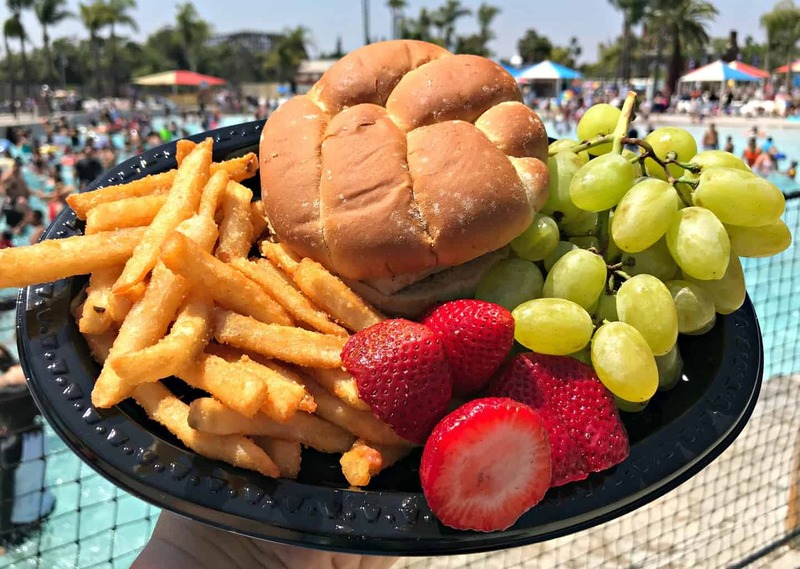 On a side note, unopened water bottles, baby food and food for guests with special dietary restrictions are allowed inside the park. 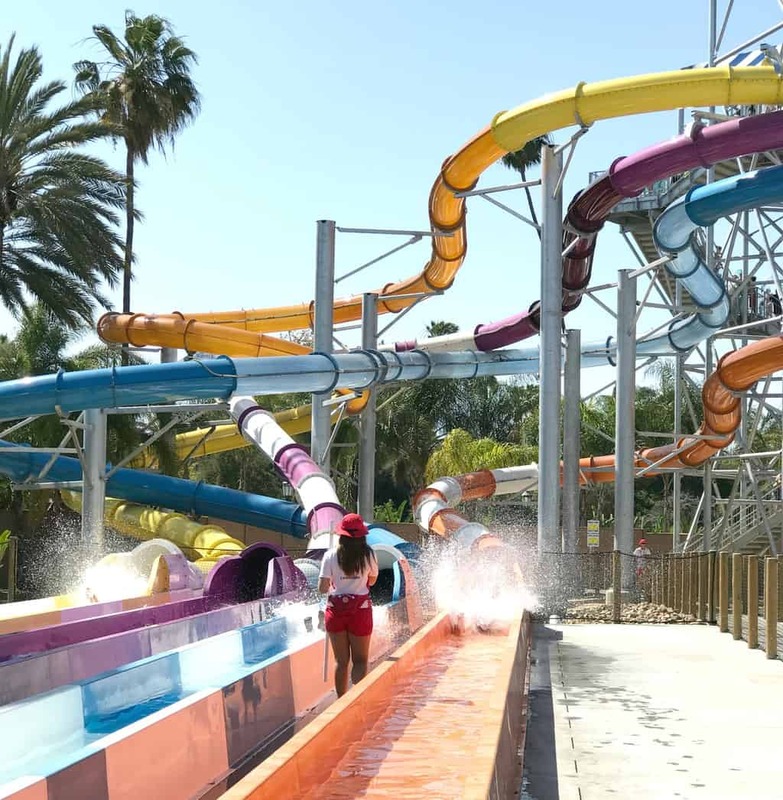 The best deal for tickets to Knott’s Soak City is to purchase a Knott’s Berry Farm Season Pass. This way you can visit the park all year long with no black out dates. 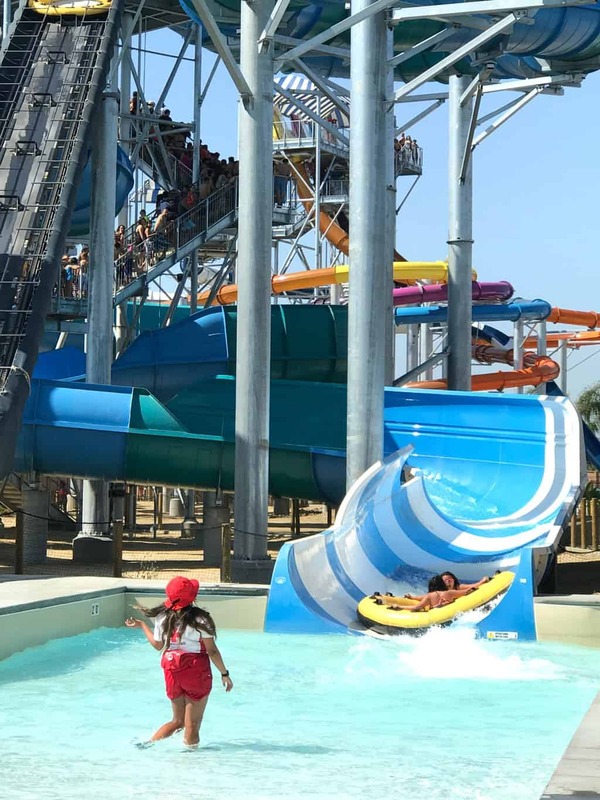 You also purchase single day Knott’s Soak City discount tickets on Goldstar.com for only $32.00 per person! 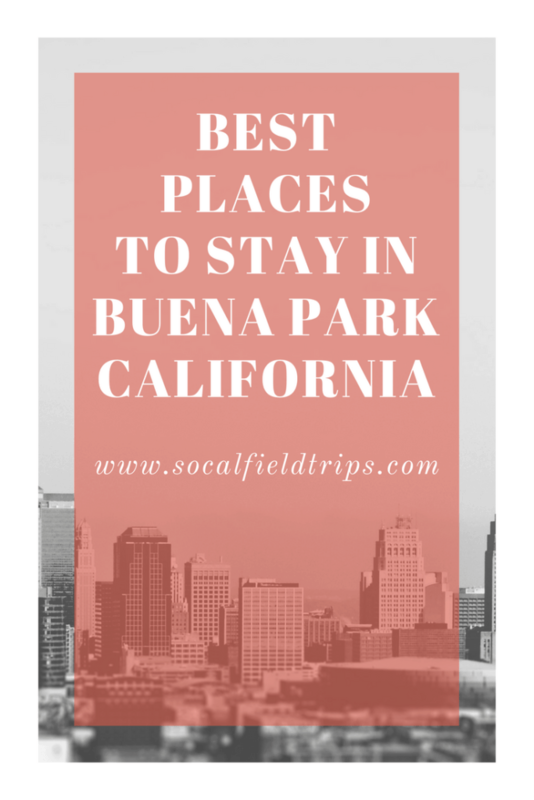 If you’re looking to stay at a hotel near Knott’s Berry Farm, here are a few place that I recommend that are close to the park. 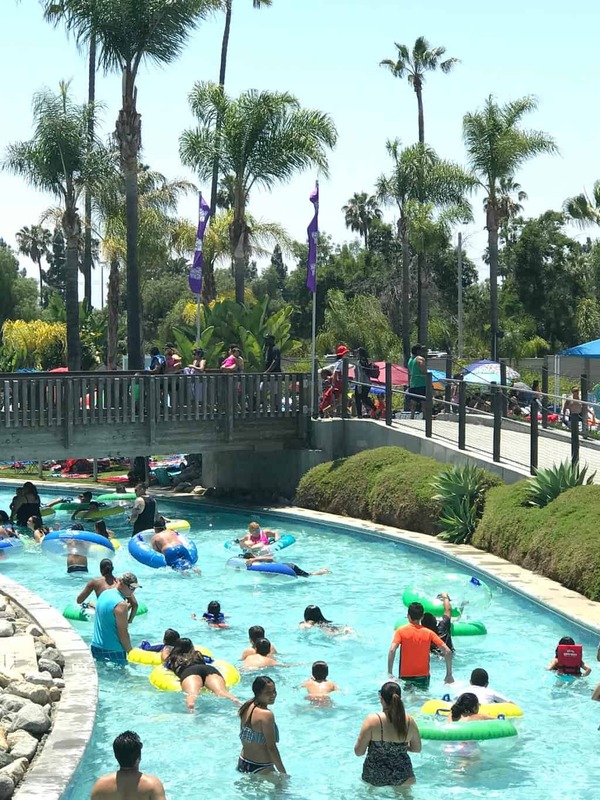 Knott’s Soak City is open now through September 3! My brother is coming to visit this summer and I would love to take him! I want to win bc my kids have never gone! 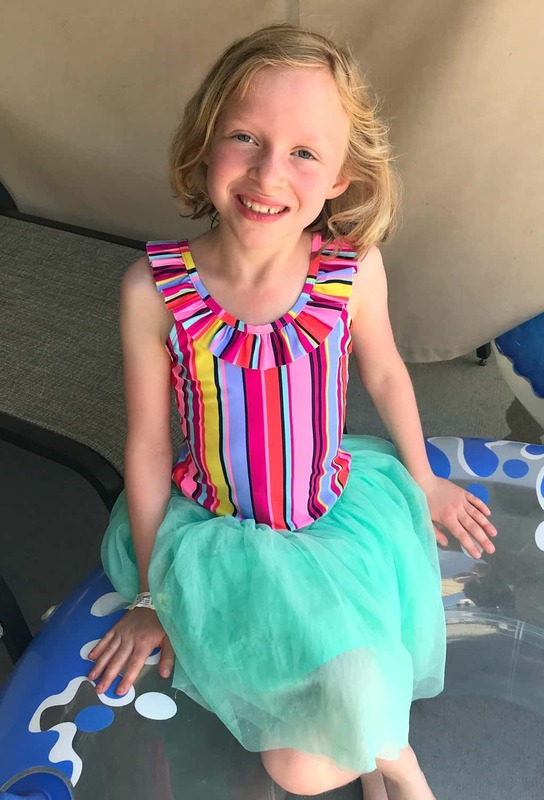 I WANT TO WIN BC MY KIDS HAVE NEVER GONE. 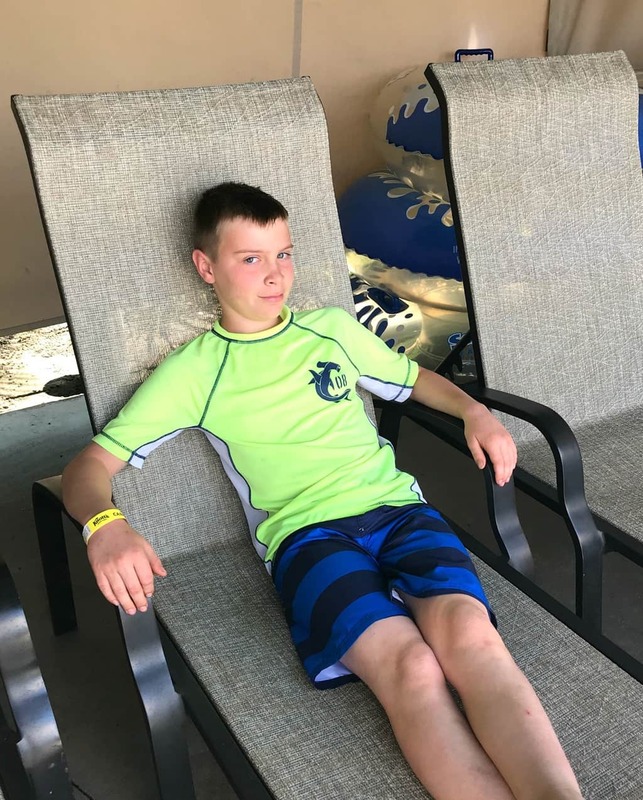 I would love to win tickets and share a wonderful day with my son. 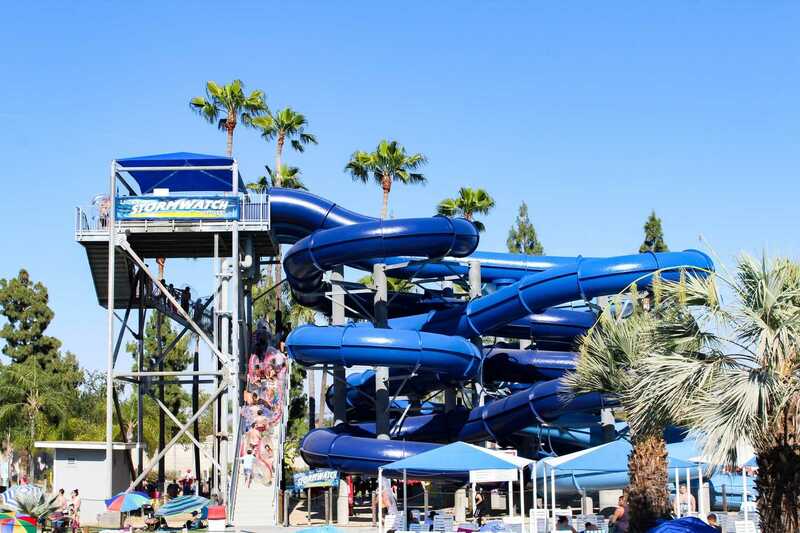 I would like the opportunity through this giveaway to go to Knott’s Soak City with my family.